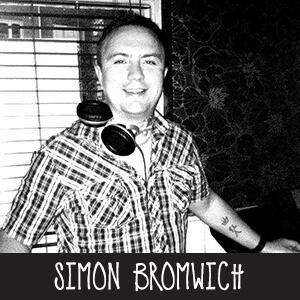 Simon has always had a passion for house music and in 1996 he was seduced by the sounds of US Garage and the fledgling UK Garage scene. Kiss FMs Steve Jackson was a major musical inspiration for him, and it was his “House that Jack Built” show as well as Danny Ramplings Radio 1 “Love Groove Dance party” show that gave him a taste for UK producers such as Jeremy Sylvester, Grant Nelson, Warren Clarke, Julian Jonah, and Gav Mills along with US acts such as MAW, Kerri Chandler, Todd Edwards, Jasper Street Company, UBP, Todd Terry, Frankie Knuckles, Roger Sanchez, Jazz-n-Groove, David Morales and Ralph Rossario. The Rhythm Station in Aldershot was the club that gave Simon his first break as a DJ in 1999, having pestered the then resident Alan Prosser to let him play a warm up set. Under Alan’s stewardship he eventually stepped up to become a weekly resident in the top room, and held court at the Rhythm Station for 2 years. During that time Alan and Simon played at a number of events across the UK, providing soulful house grooves alongside a host of top UK Garage DJs. As the UK Garage scene drifted towards a 2-step sound, Simons sets remained on the soulful side and he quickly embraced funky house, with labels such as Defected, Azuli, Strictly Rhythm, and Soulfuric leading the way. More recently moving to the deeper techier side of house, and the jackin disco & jazz influenced sounds of West Coast America and Chicago. Over the last 18 years he has played at a number of nights locally from the south coast and up into London. Simon also hosts his own small intimate “GrooveUltra” night with DJ Wilmsy, which has been going for 14 years at the Funky End Aldershot, and a number of bars and clubs across Surrey and Hampshire.